Knowledge is key to success and important for individual growth. In our constantly changing economy it is important to maintain an up-to-date skillset. More and more industries are subject to regulations that require evidence on the skills of the employees. Since everyone’s busy and working, employees want flexible education methods and learning objectives aimed at their personal growth. No more hours and hours spent in classrooms, listening to lectures. Instead, they want online courses, that can be followed anytime, anywhere, aimed at their specific needs and learning objectives. But how do you manage all this? 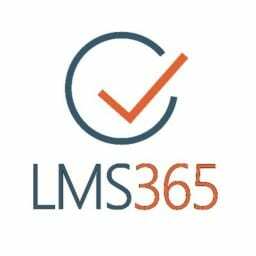 By using LMS365, the most awarded Learning Management Solution (LMS). Developed by ELEARNINGFORCE, LMS365 combines all the functions and features of Microsoft Office 365 with the e-learning features . The easy-to-use course catalog helps learners to quickly find and enroll in the course they need. The personalized Learner and Manager Dashboard has the familiar Office 365 look and feel. Integration of educational approaches like gamification and social learning ensure a higher learning efficiency and enables employees to easily put theory into practice. Creating e-learning content can be difficult, but with the Intelligent Course Creation Wizard and the intuitive features of LMS365, it is easy to create any kind of training without programming, system integration, unwanted complexity, or technology overkill. LMS365 supports multiple Course Types like Online courses, Classroom training, Blended learning and Webinar courses, enabling employees to choose a learning approach that fit their preferences. Within each type of course, you can add learning materials like Documents, Movies, HTML content, Quizzes and SCORM/AICC packages. To keep track of everyone’s learning progress, LMS365 provides you with intuitive on-screen reporting and Excel reports. You can get an overview of the results from individual learners and groups. Organizing your courses into training plans gives learners a clear overview of the enrolled courses and it helps tracking everyone’s progress. Certification Management is also integrated in LMS 365, helping you to meet the requirements of the levels of regulation and auditing. It provides re-training, E-signature compliance acknowledgements and automated publishing of SOP’s (standard operating procedures) functionalities. LMS365 provides you with all kinds of out-of-the-box features. If they prove to be insufficient, LMS365 even has well documented and extensive API capabilities to create custom functionalities. Please contact us for more information or a free trial.